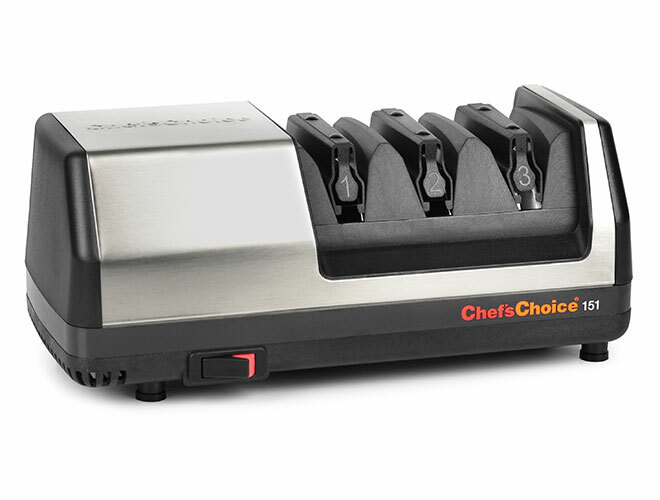 Exclusive to Cutlery and More, this Chef's Choice Electric Knife Sharpener is the only sharpener you will need to maintain your quality cutlery, no matter which brand of Asian, European or American knives you own. Most cutlery that we sell today, including our popular German brands, are factory ground at about 15°. 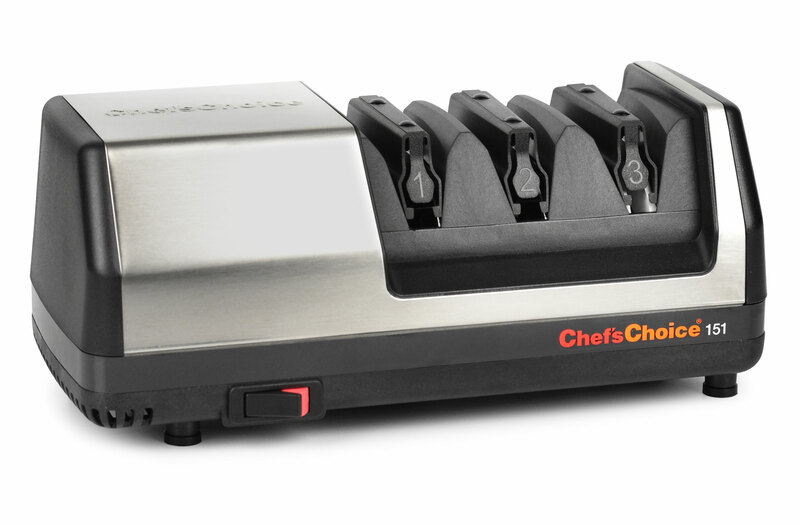 This fully electric sharpener will easily maintain those, as well as place a sharper 15° edge on your older knives that may have been originally ground at 20° or higher. 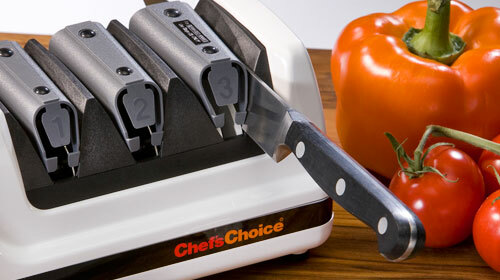 The resulting Chef's Choice Trizor XV edge offers a triple-bevel design for sharpness and maximum edge retention. Truly universal, this electric sharpener will also sharpen serrated knives in Stage 3, single-bevel Asian knives, hunting and pocket knives. The first two stages utilize coarse and fine diamond abrasives while the third is an ultra-fine stropping stage for polishing the final edge. 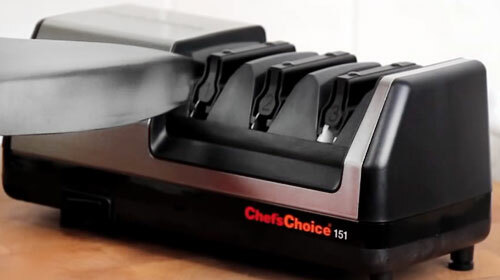 Learn about the features of the new and exclusive Model 151 3-stage electric knife sharpener from Chef's Choice and Cutlery and More.